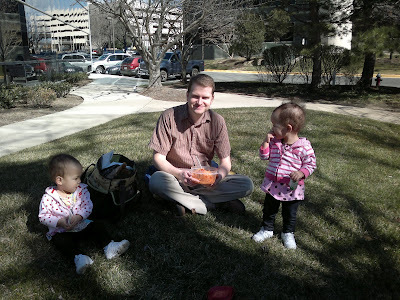 One of the things that Carl looked forward to in having his own family is picnic for lunch. It was fun visiting with him and we enjoyed the time together. 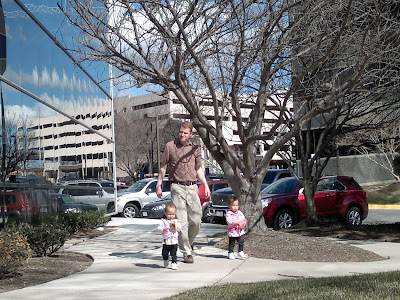 Plus our girls got to see his new office (congratulation for the promotion, Dad!) and meet some of his co-workers. 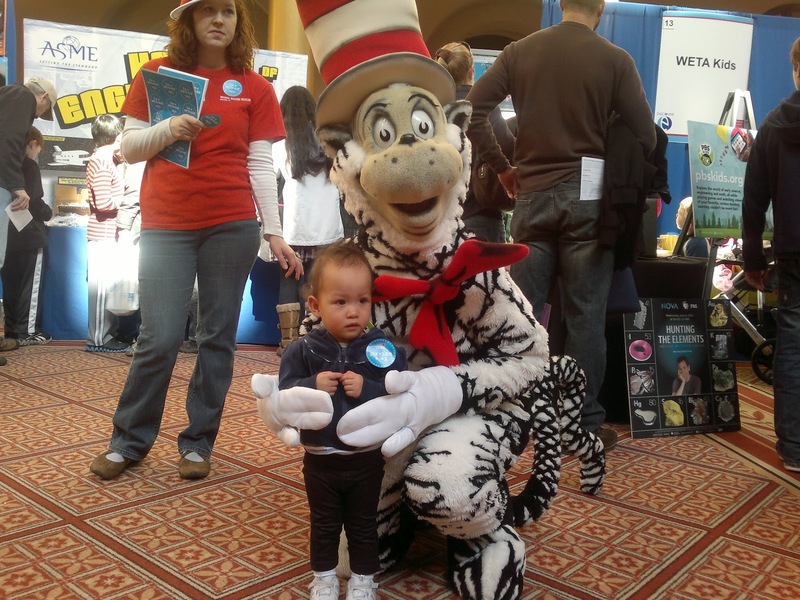 Mikelle and Rianne got to meet the Cat in the Hat during the engineering family day at the National Building Museum in DC last February. 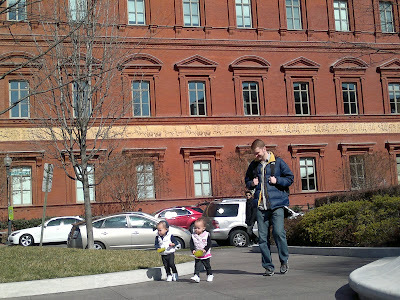 They knew him from the Dr. Seus books that they enjoy reading and they were pretty excited to meet him in person. There were some pretty cool stuff at the fair and we look forward doing some of those fun stuff with the kids when they are older. It was a fun day! 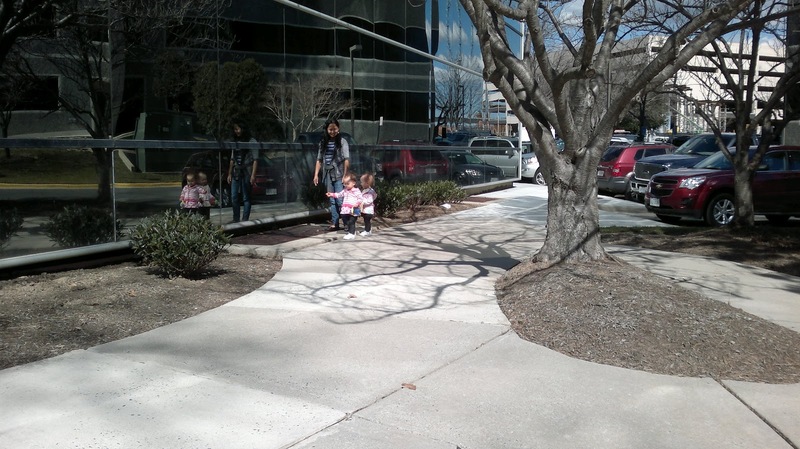 This is Mikelle practicing her shapes. She likes playing with shape sorters and is getting better at it everyday.